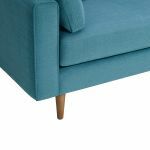 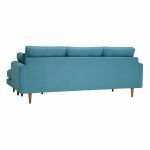 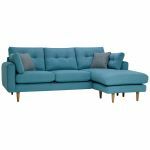 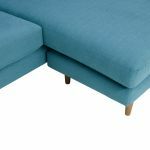 The Brighton left hand four seater lounger in Sea Spray brings the corner sofa right up to date. 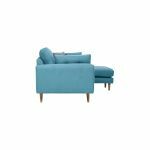 This lounger still has stand out retro modern features – buttoned back cushions and bolsters, slim oak legs, and squared off arms – with the addition of a lounging section, a chaise with long seat cushion. 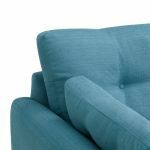 It’s a place to perch for conversation, or a comfy section for lounging on. 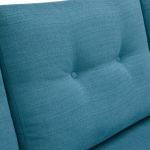 Foam filled for comfort and great shape retention, the back cushions have a sink in luxury with their fibre filling. 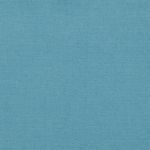 Accent scatters – in a pattern that features across the whole range – rounds off the look. 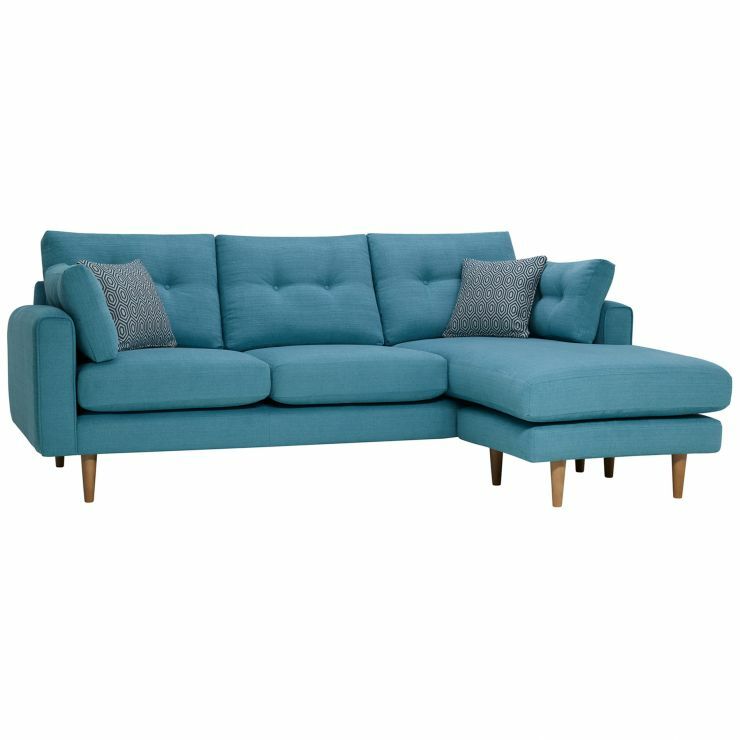 This corner sofa can be left or right hand facing. 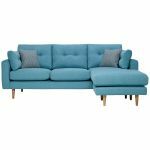 Browse the Brighton range and bring a comfy contemporary look home.